Are you planning to move house? Perhaps you need to find a way to transport your belongings to the new place? It is lots of work and the best solution is to hire a company that offers professional removals services. If you live in London, we encourage you to take a look at our agency. Our business is based in the capital of England. We are a bunch of professionals who are occupied with removals. We can take care of your stuff by loading it on our trucks and transporting it to your new home at a reasonable price. We have done that for many years, which is why we can say we’re quite proficient in this occupation. If you need more proof for our skills, please keep reading. You don’t even have to calculate the size of the stuff to be carried away because we’ll do it once we arrive at your house. How is the work done? First things first, our workers go to the place they have been called in. If the client ordered packing apart from removal services, our technicians visit the property a day earlier to pack all the stuff. Check our prices. For this purpose, we ensure special packaging, especially for those items that are fragile or very expensive. 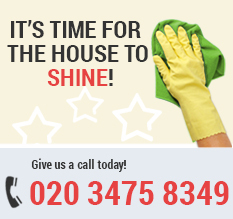 London Home Cleaning do everything possible to ensure that all the stuff is delivered safely to the new place. So, once the packing is over, we go back to the residence the next day when the actual service is to be completed. We arrive in big trucks where we can store all the items, regardless of the size. Our workers are very strong and robust. They are capable of loading bulky items. Next, we head for the client’s new property where we unload the stuff. If we are asked to, we can even unpack it and place it inside. Already made up your mind? Feel free to join us any time you want. Our company is at your disposal seven days a week. Our customer support is available 24 hours. You have the freedom to get in touch with us at any time. Don’t miss this opportunity, call us.